There are examinations such as SBI PO, SBI Associate PO, IB ACIO, UPSC mains, state level PSC mains, Insurance AO papers etc. that require writing essays. In this post we take a quick look on the tips and tricks of how to write an essay in competitive exams. The essays asked, generally cover topics from socio economic, to political, to international relations etc. 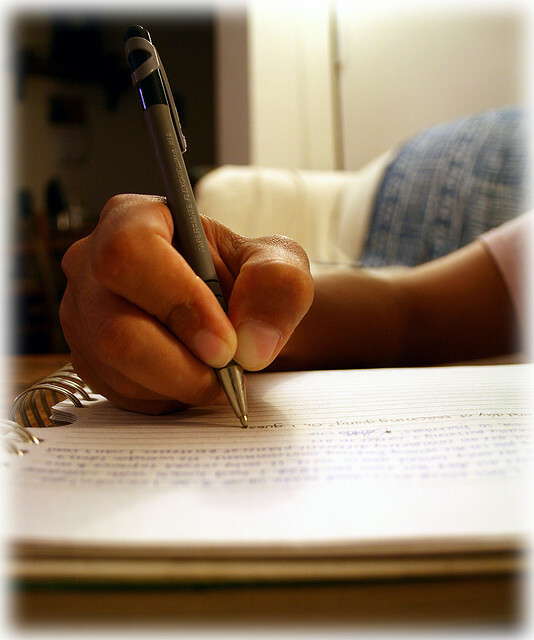 It requires one to have some idea on the topic as well as a few writing tricks up your sleeves to write a good essay. The topics that are usually asked, require some thinking on your part. It requires you to know something – at least a slight knowledge about the topics asked. For if you have a base, only then you can construct an apartment! So, how to gather the info??? You can do so only by keeping yourself updated with the recent happenings in your surroundings. Read newspapers and magazines. In the newspapers try to read and understand the editorials. The editorials give you not only the info but also the analysis and views of eminent persons. You also do learn about how they weave a beautiful mesh with words to convey their point. Whatever time you allocate for your essay writing you need to use it carefully and in an effective manner. First 5 mins you should spend quickly reading the topics and then deciding which topic you have the best knowledge about and hence the best chance of scoring good and gathering up all the points that come to your mind. If it helps jot it down on some piece of paper. Then do an arrangement of the points in a way that you keep the catchy and vital pints at the starting or near the end. (DO not mix this up with introduction and conclusion part. Writing intro and conclusion should be done with utmost care). Now reading the topic won’t take more than a few seconds but understanding the topic ad deciding for which you have more scoring points, evidence to support your views and form a strong opinion that is where your time management skills come. In the first topic you need to know about the CSR of banks, how they can help the society what are their economic manifestations and their outlook. It is always better if you have info about the recent works of some banks in that arena and also the statistics if any. In short for the first topic you need to have some knowledge about banking and economics. Coming to the second topic, the Kashmir crisis you need you to know the geo-political scenario of Kashmir why has it been a bone of contention between the neighbouring countries, a bit of history of Kashmir how it became annexed to India, the wars that have been fought the recent aggressions, the view of the common people living in Kashmir. You can make your writing more interesting if you have the opinion and thoughts of some prominent personality, how similar problems in other part of world have been solved. You can also throw in some interesting quotes that are relevant to the Kashmir scenario. You need to be on your introduction within about 5-6mins of reading the essay topics, judging which your best bet is and start writing fast. Usually a word limit is set in every essay paper. It varies between 300 words to 500 words. In UPSC or UGC questions the word limit might go up. For that read the question carefully before you start to write. Since there is a word limit you need to be concise and at the same time you need to keep in mind not to miss out any important point. Be careful to not cross the word limit. The easy way to count how many word you have written is to count the number of words you write in one line and multiply it to the number of lines you have written. E.g if you write 5 word in one line and the word limit is 300 word then you need to write 60 lines at max (300/5= 60). Details – correlation of facts: you need to be clear about your views. Do not go beating around the bush. You show your mastery weave good word nets but be careful not to overdo. Once you get into the mode of writing, you have your points ready, the flow comes. 300 words and the time frame you set seem to fall short!!! Command over language: You need not put in jaw-crackling words to put your point through. Easy enough words do the trick. It is how well you can draw up comparisons and how well you can master up sentences to put your point through those counts. You can through in figurative words that demonstrate your imaginative capability. Typically you will split your essay over three parts – A good introduction, a well built body, and an effective conclusion. The best opening para will catch eyes of the examiner and garner his interest towards what you have got to say on the topic. You should not only grab the reader’s attention but also firmly state your position on the given topic. The next few minutes you spend on writing or phrasing out your thoughts in the body of the essay. Whatever you have written down during the thinking time now is the time to elaborate it. Through in the examples, descriptions, quotations, conversations, view points, statistics etc. The last few minutes you should dedicate for a well crafted conclusion. You can draw up comparisons to explain what you are trying to say so that it becomes easy for others to understand you. It is not necessary that you are always straight and poker faced with your words. You can also throw in subtle humors- not too funny for a serious discussion but just enough to lighten up the mood of your essay. We hope these tips would come in handy to you! Now that you are armed with the ‘how to write an essay part’, why not practice yourself on some real exam topics? We have listed some topics on this post. The above tips given for “how to write essays” are very useful to me because i prepare for upsc exam . In main exam i need to write essays perfectly . so it is very useful to me . thankyou very much sir.